Notes: Some think that the "A.P." stands for the late Andre Puyans, the designer, but it actually represents "All Purpose". He was often kidded by his peers that he named this pattern with his initials but he always denied it. 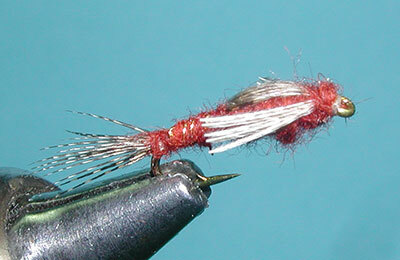 Andre designed this nymph pattern during the early 1960's while teaching Vietnam War Vet's how to tie flies for rehabilitation. He based the nymph design upon three main criteria: size, shape and color. 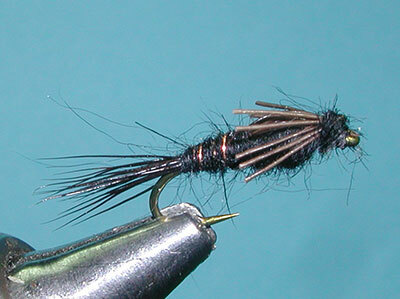 The size and shape of the pattern was inspired by Frank Sawyer's PT Nymph that Andre also made contributions to variations of that pattern. 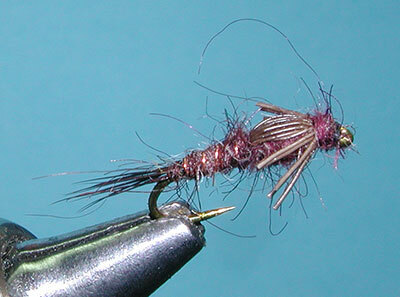 The design of the nymph was based upon the knowledge that only certain nymphs were available to the the trout, the mobile types that swim and crawl within the trout's environment. These nymphs have gills along the abdomen as well as filaments within the abdomen and thorax areas. Andre stressed that natural aquatic fur dubbing is ideal to create this texture and focuses on muskrat/beaver rather than rabbit. The legs of a natural nymph are very evident and are swept back along the sides not underneath. So each of his patterns represent these leg features with swept back fibers. Andre also noted pronounced heads on nymphs that were generally the same color and texture as the rest of the body, so he always dubs a small head in front of the thorax with the same body material. The wingcases of the naturals are usually darker than the rest of the body and gets darker and larger as the nymph matures. A pattern such as A.P. Olive requires the need for a marking pen to highlight the wingcase with a darker color. 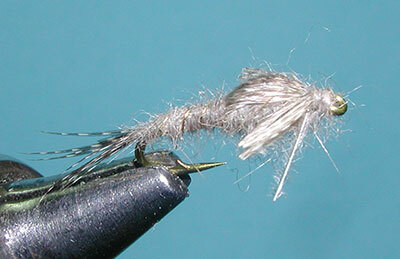 Similar to the Pheasant Tail Nymph, Andre used the same piece of material for the tail, wingcase, and legs. On some patterns such as the A.P. 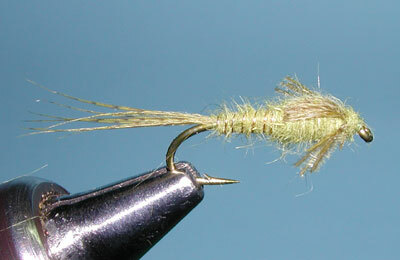 Olive Nymph, Andre used Olive dyed Mallard Flank. 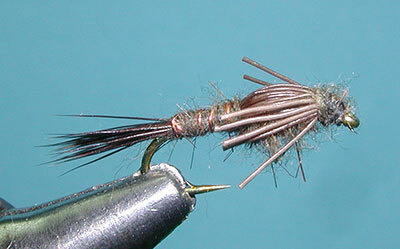 On other patterns such as the Beaver Nymphs, he used Moose Hair. 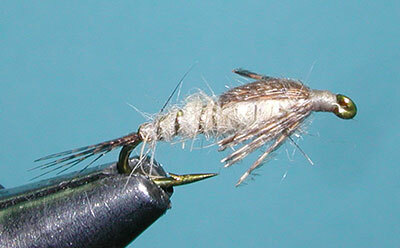 And on the Hare's Ear, Muskrat, and Hendrickson, he used Bronze Mallard flank for the tail/wingcase/legs. Altogether, Andre created 7 different patterns which covers most of the basic colors of nymphs. All 7 of his patterns are listed on this page. Andre passed away Oct 25th, 2005 in Idaho Falls, ID.